Rare Ocean Front home with opportunity to experience unobstructed, breath taking ocean views, including the scents and sounds. This spacious light filled 3 bdrm 3 bath home is filled with inviting features: Vaulted ceilings, Maple wood flooring, Travertine tile in the kitchen, Updated bathrooms, New paint, 2 Decks, one off the living room and one off the master, Large Family room downstairs with a full bath and third bedroom with its own entrance. Large Patio in the back yard. This home is ready to move in and enjoy coastal living at its finest. 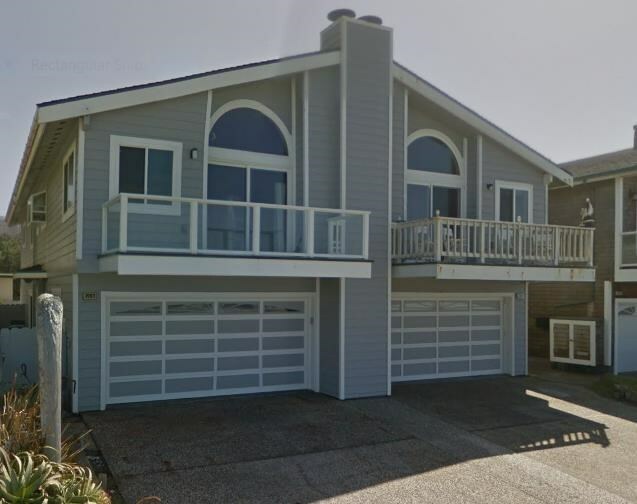 Literally steps to the beach, 20 minutes to the Peninsula and San Francisco.